Who Will Be Saved? 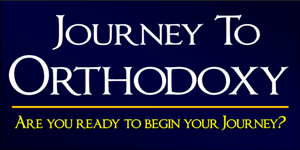 What About non-Orthodox Christians or Others? The following talk was given by Jodi Haley of the Orthodox Reading Room in Beaverton, Oregon during Great Lent 2015. Using the story of the life of St. Mary of Egypt, Jodi provides an excellent description of the meaning of repentance in the Orthodox Christian tradition juxtaposed with what has become the western Christian understanding. Blessing (and swimming) the Columbia River – Video!! Join us for Services! Visitors welcome!